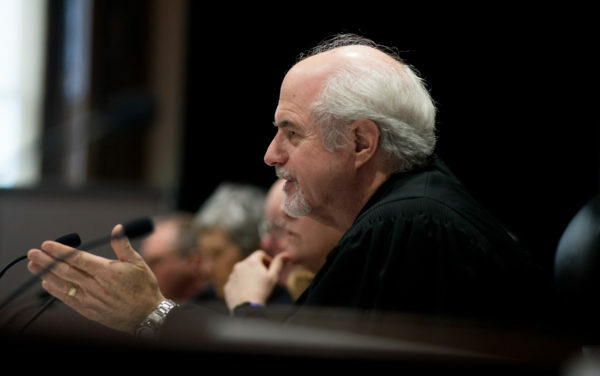 Timothy Woodcock, attorney for the Maine Senate, answers a question by Chief Justice Leigh Saufley on Thursday morning when justices on the Maine Supreme Court questioned lawyers on both sides of Maine’s ranked-choice voting law. Justice Andrew Mead asks a question at the hearing regarding Maine’s ranked-choice voting at the Capital Judicial Center in Augusta on Thursday. 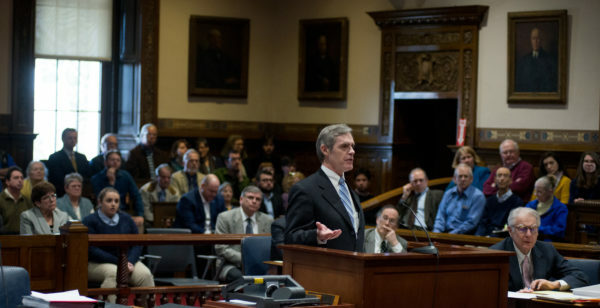 James Kilbreth, an attorney for ranked-choice voting supporters, said that it wasn’t necessary for the court to weigh in before legislators begin implementing the law. The hearing regarding Maine’s ranked-choice voting was held before the Maine Supreme Court justices at the Capital Judicial Center in Augusta on Thursday. 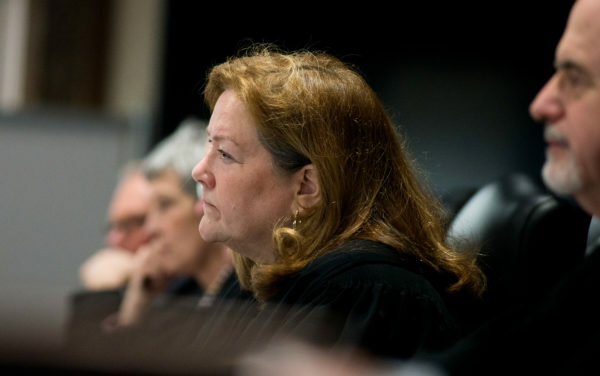 Chief Justice Leigh Saufley hears arguments on rank-choice voting Thursday morning at the Capital Judicial Center in Augusta. Maine Supreme Judicial Court hears arguments on ranked-choice voting Thursday morning at the Capital Judicial Center in Augusta. AUGUSTA, Maine — Projecting a range of dramatic outcomes under Maine’s ranked-choice voting law — from a disputed election to a constitutional amendment vote — justices on the state’s high court grilled lawyers on both sides about its constitutionality at a Thursday hearing. 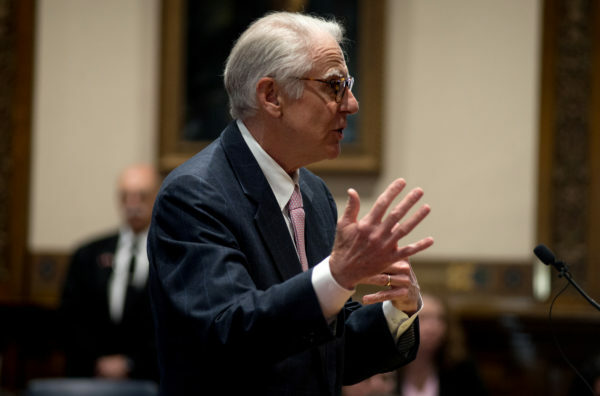 It was the first salvo in the case before the Maine Supreme Judicial Court, asked by the Maine Senate in February to issue an advisory opinion that wouldn’t be binding, but would pressure lawmakers to either work to implement the initiative enacted by voters last year or shelve it. That will depend on whether the high court rules on two constitutional conflicts identified by Attorney General Janet Mills, who says the system approved by voters in 2016 violates provisions saying state elections can be won with a plurality of votes and that ballots must be received, sorted and counted by municipalities. 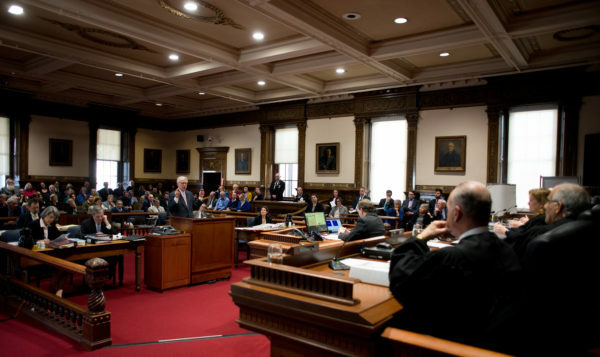 The Senate’s effort must pass another jurisdictional hurdle before any ruling: Justices must deem it a “solemn occasion,” the constitutional provision that allows them to weigh in upon the request of the governor or a legislative chamber. Mills, a Democrat, has agreed with legislative Republicans that the law is unconstitutional and that the high court should issue an opinion. That puts her in opposition to a handful of legislative Democrats and backers of the law who have argued that the situation does not warrant a solemn occasion and that the law as passed by voters meets constitutional muster. 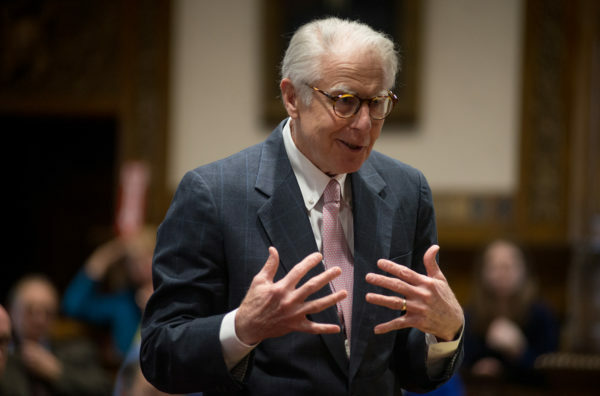 “People aren’t going to know how to vote because they don’t know if it’s going to be a plurality system or a ranked-choice voting system,” Jabar said. “Mr. Kilbreth, it’s a fairly large tail, however,” quipped Chief Justice Leigh Saufley. Kilbreth responded by saying that legislators were looking for “a hook” to repeal the voter-approved law. The Legislature could either do that or pass a constitutional amendment, which would require a difficult two-thirds legislative majority and simple-majority approval in another statewide referendum. 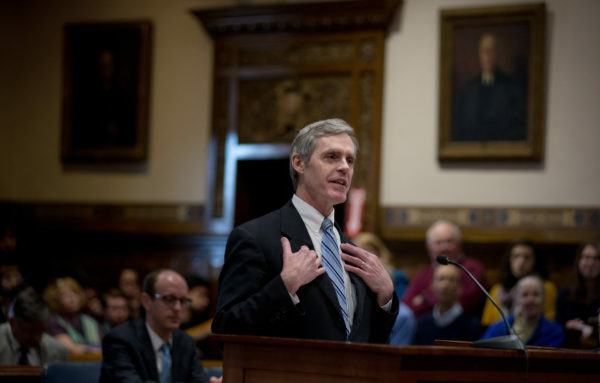 Earlier in the hearing, Saufley asked Timothy Woodcock, the Senate’s attorney, if the chamber doesn’t “know what it needs to do” even if “it may be in disagreement” with the policy. The new system would apply in gubernatorial, legislative and congressional races with three or more candidates, declaring a winner if a majority picks a candidate as its first choice. If not, the candidate with the lowest number of first-place votes is eliminated and second-place votes for that candidate are reallocated, a process that is repeated until someone wins a majority. Maine Secretary of State Matthew Dunlap has said ranked-choice tallying would have to be done centrally by his office, though the law’s backers have disputed that. The push for ranked-choice voting started after a three-year study from the League of Women Voters of Maine led to the group endorsing it in 2011, but legislative efforts to pass it failed even as Maine’s political climate provided the environment for the change. Implicitly, the vote was colored by the tenure of Gov. Paul LePage, the Republican who was elected with pluralities in 2010 and 2014, although his Democratic predecessor, John Baldacci, also never won a majority. Such a system could have radically changed Maine politics if enacted prior to the LePage era: Independent Eliot Cutler would likely have beaten him in a ranked 2010 election. 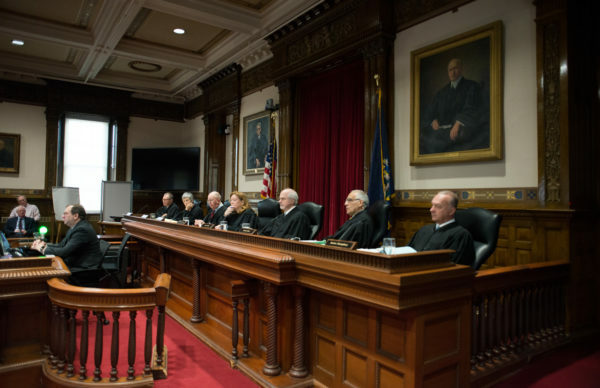 Mary Ann Lynch, a spokeswoman for Maine’s judicial system, said if justices find a solemn occasion, they will issuing one ruling that also addresses the law’s constitutionality.